We’ve seen a massive increase in the quality of fully wireless in-ears since the first pairs trickled onto the market a few years ago. From options that barely functioned, we’ve now tested a slew of well-peforming and extremely convenient options from manufacturers like Jabra, Apple, and others. With the Bit Charge Touch, Rowkin looks to throw a hyper-compact set of in-ears at a significantly cheaper price point than many competitors into the ring, offering compelling features like a case that will charge the earbuds up to 15 times. But are the latest from the startup worth going after? 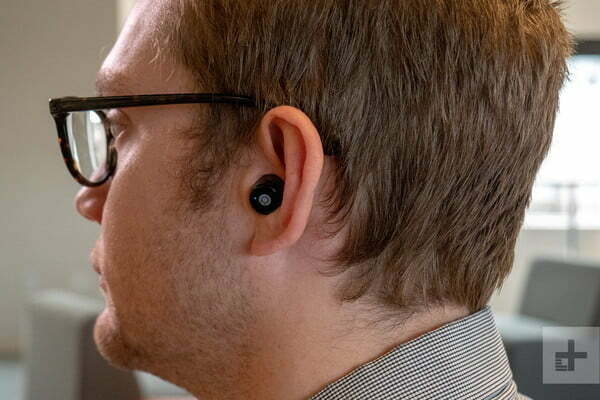 The Bit Charge Touch themselves are small, bullet-shaped headphones that fit snugly in your ears. 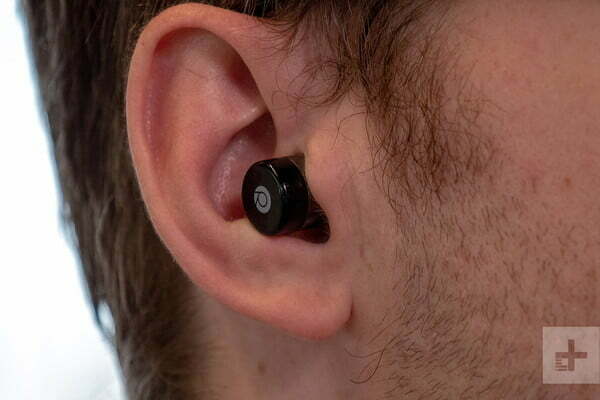 The company claims they are the smallest true wireless headphones on the market, and that may well be true. Yet, while we like the simple and streamlined looks the offer, we still prefer a set of in-ears with some form of earfin so we can be sure we wouldn’t lose them during workouts. After all, the ability to do strenuous activities with fully wireless in-ears is a huge part of their appeal. Because the headphones are so small, there’s no room for physical buttons. Because the headphones are so small, there’s no room for physical buttons. 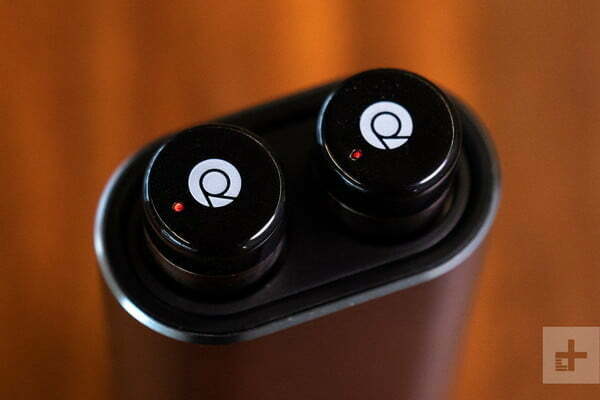 Instead, the company has opted for two touch-sensitive pads on the outside of each earphone. They can be a bit slow to respond, but generally work as advertised. 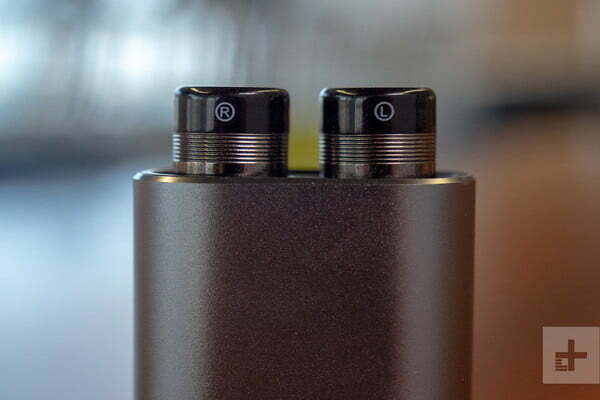 The Bit Charge Touch come inside a cylindrical metal charging case that looks a bit like the original iPod Mini you might have toted around with you in the early aughts. 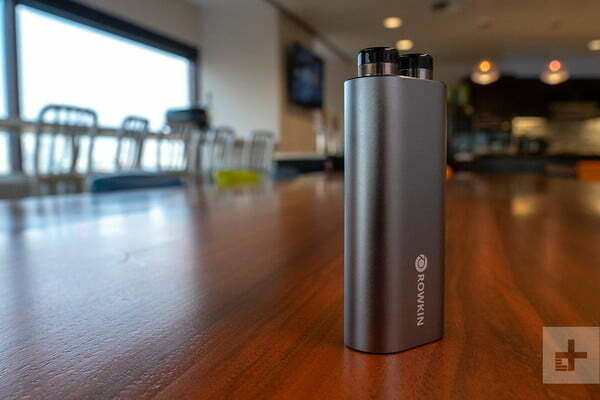 The charging case is weighty and robust, and that’s likely because it hides a 2100 MaH battery — enough to charge the headphones a crazy 15 times on the go. You’ll need that juice, however. The headphones only carry between two and three hours of battery life per charge (depending on playback volume) when out of the case, which is about half what you’ll get from segment leaders like the Jabra Elite Active 65t and Apple AirPods. The earbuds rest at the top of the cylindrical case, which has a sliding inner section that you push up from the bottom to gain access to the in-ears. This is an interesting mechanism, but because the recessed space in which the headphones rest isn’t fully sealed off (unlike the flip-top charging cases that most true wireless in-ears use) pocket lint and other gunk are prone to get lodged in the charging ports when the buds are in your ears. We also wish the case was a bit smaller. 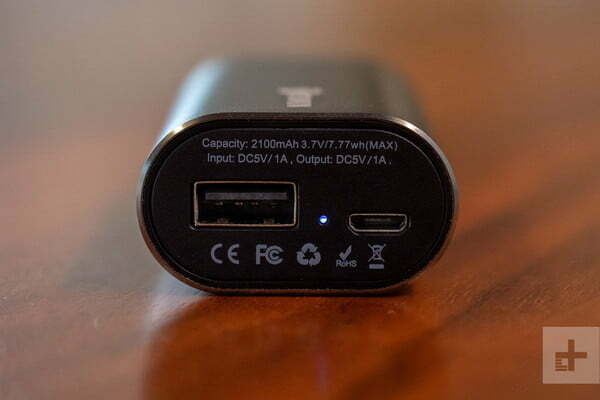 While the large-capacity battery is nice, the case is a bit cumbersome in your pants pocket. 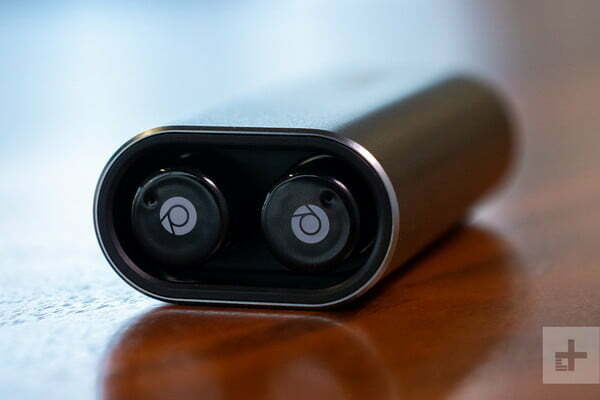 That said, one added benefit that may make the headphones more appealing to some is that the case itself has both a microUSB input and standard USB output on the bottom, which means you can use it to charge your cell phone or other USB-powered devices in a pinch — two batteries for the price of one. 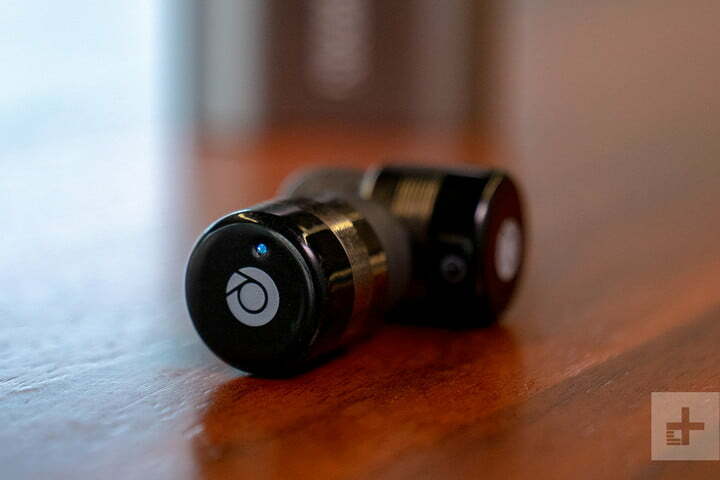 In daily use, the headphones paired quickly and generally functioned exactly as advertised. We got between two and three hours between charges in everyday use, and never had to recharge the case in our entire testing period. 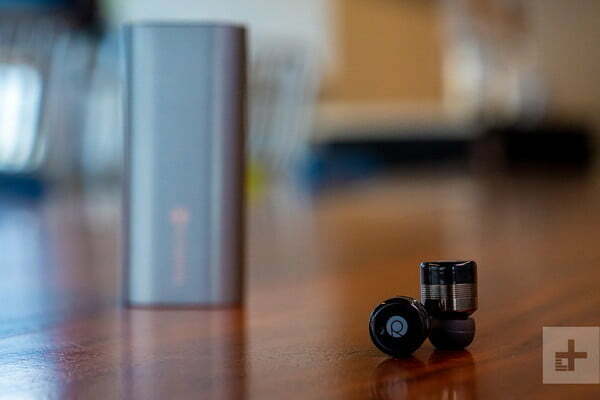 Sound quality is what you might expect at the lower end of the fully wireless in-ear market. That is to say: There’s a lot of bass, and not always enough top-end clarity, especially for more acoustic-leaning music. 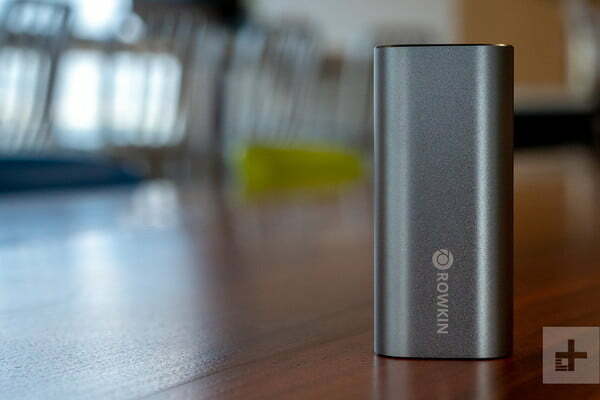 The Rowkin Bit Charge Touch function best as a pair to throw in a backpack and not have to worry about charging for weeks on end. When listening to contemporary rock tracks like Black Belt Eagle Scout’s Soft Stud, we got a bit too much low-midrange mud from the bass and electric guitars. We did like the punch the earphones lend more bass-driven music from the likes of DJ Rashad and Kendrick Lamar. If you’re a fan of electronic music or hip-hop, they perform just fine. The fact is, if you’re after great audio quality, you should probably be looking outside the world of fully wireless headphones anyway. 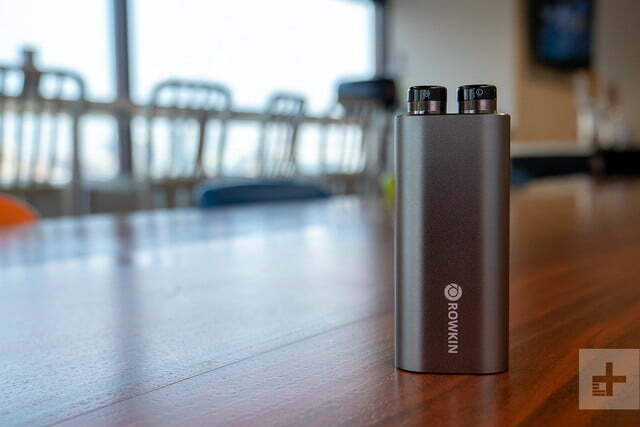 In general, the Rowkin Bit Charge Touch function best as a pair to throw in a backpack and not have to worry about charging for weeks on end. But as a serious pair of listening devices for those who demand more than a couple hours of playtime each day, they miss the mark. If we were in the market for a set of fully wireless in-ears, we’d save a bit more money and cop a pair of the pricier, but much more versatile, earbuds from Jabra or Apple.